Poker is such a unique game in that good plays can lose money, and bad poker plays can end up winning money. At the end of the day, our goal is to make the most profitable plays and minimize our mistakes. But sometimes, a bad line can still result in the chips being pushed our way. Regardless of whether you played well & lost, badly & won, or anything in the middle – review your hand and ensure the line you took was +EV. The main villain used to be a poker dealer. He now plays regularly at this poker room. I will classify him as a thinking player, but not very good. Maybe slightly winning. He is playing quite aggressively and pushing people around with his stack size. We haven’t really played any hand together the whole session until said hand. After a limper, this opponent raises to $14 and gets called by the cut-off and button. Alex is in the big blind with 9♥6♥ and decides to call. Let me say straight off I do not like this call. Sure the original limper will likely come along, so we’re getting a decent price and have multiple sources of implied odds, but here’s the problem. We’re putting ourselves in a $70 pot with a low SPR against three of our four opponents. Our suited two-gapper is an implied odds hand that likes large SPRs, particularly when played out of position. Read this quick guide if you aren’t sure how SPR and hand types work. Because of villain’s bet size, I put him on TT-QQ with AA, KQ and AK unlikely due to the dry texture. I glance at MP1, he is ready to give up once he saw the flop. My plan here is to rep the K. Plan is to float the flop, check/raise turn, and rip the river; so I flat. My main issue with Alex’s analysis here is the range he’s assigning. Basically, Alex is dismissing anything as strong as top pair/second kicker based on Villain’s bet sizing. Here’s the problem. Let’s suppose the reason for your assumption is that you’ve seen Villain bet $40 here with top pair plus, and bet larger with weaker hands. That may be sufficient reason to assign Villain a weak range, but you really need to be confident in that information. In the absence of such information, all we know is that the pre-flop raiser is c-betting about 2/3rd pot. For most players that is a perfectly ordinary action with a strong hand. Beyond the ranging issue, Alex’s plan here is essentially to throw in three buy-ins to take Villain off their hand. This seems to me to be very ambitious. You’re going to risk a lot of money without a lot of upside potential and without a really solid reason to do so. For example, if the ranging is slightly off and Villain’s c-bet range includes AK/KQ/AA, will the proposed line create enough fold equity and thus profit? Note that one fundamental problem here is that Alex got involved with the wrong kind of range preflop, and is now trying to dig out. Now we often make mistakes in poker and are compelled to try to dig out of bad situations, but this tough spot was avoidable simply by folding preflop. Now, I’m a little surprised he 2 barrels here. So maybe he does have a decent hand? Like Kx, maybe QQ/JJ want another shot at the pot? I know I should have him crushed at the moment. So if I go with my plan to check-raise, I think he will fold. I went with just call, and will lead out at river. This proposed line is my least favorite line possible here for the following reason. We want to get stacks in here. If you call here and lead river, do they ever shove with AA or KQ? It doesn’t seem likely, but with the line suggested by Alex, such a river shove is the only way we’ll get stacks in. 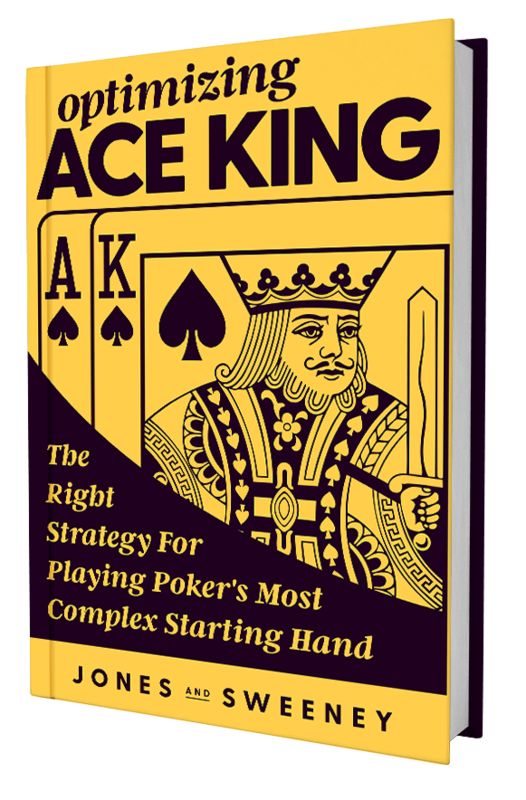 Against a Kx or AA here, we either want to check-raise the turn to build the pot as quickly as possible, or check-call turn and check-raise the river in an effort to get that last bet from top pair or similar holdings, or possibly even bluffs. By check-calling turn and donk-betting the river, we really just let our opponent off the hook for a cheaper price than we could generate through other lines. Since Alex describes this opponent as aggressive, check-calling the turn and check-raising the river is likely to get the most money. Alex bets $150 on the river and gets called by AK winning a nice pot, but in my opinion, he did not play this hand well. First, Villain’s action on the flop was completely consistent with a top pair hand which Alex ruled out. When range assignments on early streets are off, our betting line can get really wonky really quick. Second, having made two pair Alex’s line did not maximize EV. It’s important to work hard on building lines that do maximize profit and track why and when they work so we can employ them in the future.